Members can insert new events into the calendar and signup for trips, but please read the instructions before posting. VOC trips are organized by members like yourself, not professional guides. The trips go into wilderness areas where assistance is unavailable and unexpected events can occur. You could be seriously injured or die. You are responsible for your own actions. Please use caution. Details Page: Where you can see brief trip details (publicly viewable). This trip does not have an associated Wiki Page. Message Board Thread: Discuss this trip with other members here. Signup Page: Where you can signup, bail, edit participation entries, see/email members on the trip, etc. Drivers Page: Where you can arrange rides, get pickup directions and email by car. Wikitext Page: From where you can cut and paste information formatted for the wiki. Printable List Page: Which generates a printable list of participants. Edit Page: Where the trip organizer can edit the entry for this trip. Mark Going Page: Where the trip organizer can sign members up as "actually going". Modify Signups: Where the trip organizer can change signup classes. It's always nice to sail away from the stresses of school and the city, so let's do that with a trip up Mt. Gardner. Mt. 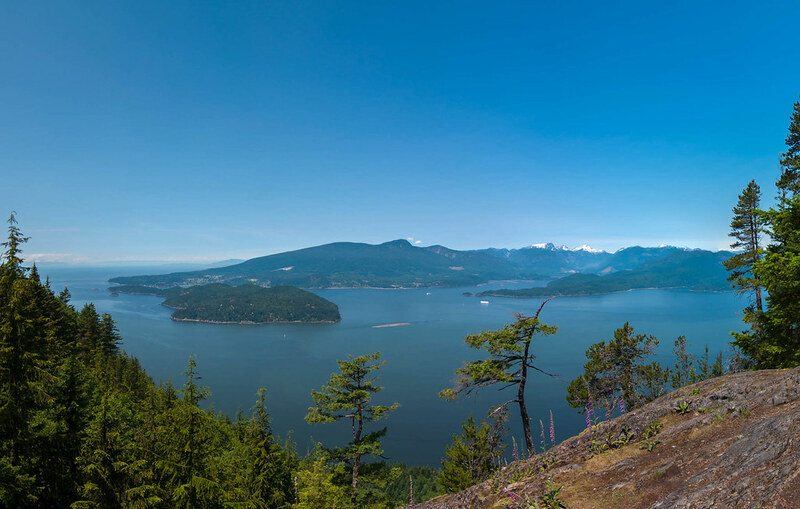 Gardner is the highest point of gorgeous Bowen Island, which is only a 20 minute ferry ride from Horseshoe Bay. The hike should be straightforward and pretty simple, though starting at sea level means that the 719 m summit will take 719 m of us moving ourselves uphill, with 11km of hiking in total. More details about the hike can be found here. Conveniently, the ferry terminal is reachable by transit from Vancouver, so students will be able to use their U-Passes to get there. The ferry crossing will cost $11.65, a small price to pay to be able to sing I'm On a Boat. We'll likely catch the 9:05 am ferry from Horseshoe Bay, but we'll decide for sure at the pre-trip meeting. If you have any questions, feel free to post on the message board thread for this trip.